Telangana 10th Class Results 2019: TS SSC March 2019 Results Name wise (Class x) declared at manabadi.com. Currently, it is the TS board SSC (Class x) result from 2019 season again and at the same time, students are waiting eagerly for the announcement of results. The directorate of government examinations of telangana is going to announce TS public examination results march 2019 on official portal of manabadi.com and bse.telangana.gov.in. Therefore, all the students of telangana state board are advised to live connected with us for the new updates considering result day and direct link. It is the first time in history of 10th class board where the results are released on May 2019. Every Year the TS SSC Results are released on 4th week of April. After telangana bifurcation, Telangana 10th class board has taken so prestigious to release Telangana SSC Results 2019 as a record, before the neigbour state 10th class results 2019. As per our internal resources the whole credit goes to Telangana Board in creating a stratergy in release of TS SSC Results 2019 on April/May 2019. Initially it was decided to release TS 10th class results April/May. But by breaking all suspense Telangana Directorate of government examination has taken initiative to release the results error free and with strong accuracy on April/May it self. Here, we have provided some steps on how to see and download the result of Telangana 10th Class Results 2019 and TS SSC Results 2019. TS SSC Results 2019: Here, they are provided some steps on how to see and download the result of Telangana SSC Result 2019. It is going to conduct SSC Public examinations 2019 in the march. Currently, in this year approximately 12 lakhs students will look in the exam. This examination will end in the last week in March 2019. The results of this exam are expecting to be announced in the month of April/May 2019. All the students those who are going to look in the exam are keen to well- known the result declaration date. As the result of the exam, 2019 telangana board will be uploaded on this office websites. But the previous year the TS SSC results 2019 was also declared, they will update this page with the direct connect to get results. 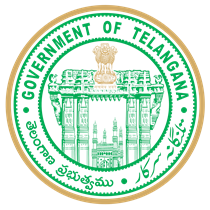 The directorate of government examination at telangana popularly called the SSC board. In this telangana state, it is one of the state board of education. It is also responsible for attending final exam, giving the certification as well as preparing syllabus from the year of 2014. For each and every the telangana board conducts final examinations in the month of March as well as compartment exam in October. There are lots of students appear in the exam in every year to do basic education requirements. Several steps are to check the TS Board 10th class results 2019 in online. It will be announced in these official portals with school wise, name wise results. Students, who want to check their results first, can visit http://manabadi.com/telangana. Students want to visit the online website as well as follow steps are given below to get their results as soon as it is showed on this official website. Firstly, you have to visit these official portals of BSE telangana or direct link given above. And, you can simply click on “ TS board SSC results march 2019”. Then, wait for 2 seconds. It will show you page and then, you can enter the roll number. Then, you can click on submit button. Wait for a just fraction of seconds. After it will displayed on the results page. Take a print out a result for your future use. But, most of the students can also check their exam result at India’s most leading newspaper website as well as the educational website. All the students those who should get their original mark sheet as well as other files or documents from the school after declaration of results. These documents or files will be sent by SSC board to each and every school which are simply affiliated to the telangana. For further details about the telangana board, SSC results in 2019. Students are also advised to stay linked with us. They will update frequently with the details released by the telangana SSC board. It has the biggest concerns for the eager students those who are awaiting their exam results. With the use of these benefits, it will be offering free exam results 2019 updates as well as alerts to the students by using SMS and email. Those who want to live update about the ts ssc results march 2019 dates as well as other essential news about it, can sign for the resulting service on this page by filling up the specified form given at the top.